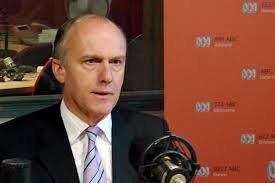 Tasmanian Senator Eric Abetz has called on the Prime Minister to put forward a final solution to gay marriage, calling for legislation to protect those whom voted against it in the non-binding, non-compulsory postal plebiscite, should the Yes campaign succeed. “The Prime Minister needs to protect the most vulnerable people in the community, the bigots, homophobes and people named Eric,” said Senator Eric Abetz. “Gay ‘marriage’, or ‘marriage equality’ if that is what you want to call it, doesn’t just effect the gays. “Yesterday, for instance, a young chap came into my office, lovely fellow had a very alluring tattoo on his forehead, and he said’ Eric I’m worried’. I asked him about what, and he said ‘well I think the gays should be exterminated’. Prime Minister Turnbull could not be reached for comment on Senator Abetz’s calls for a final solution as he was busily calling the British consulate.